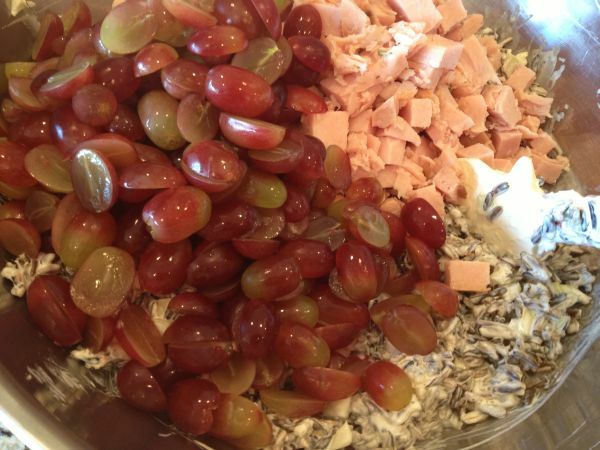 Prior to Thanksgiving dinner, I asked my kids for any “special requests”…. This is my 18 year old son Andrew’s favorite! I prepared it especially for him, but made plenty for all of us and was able to share an extra bowl with Bill’s sisters family for their dinner. 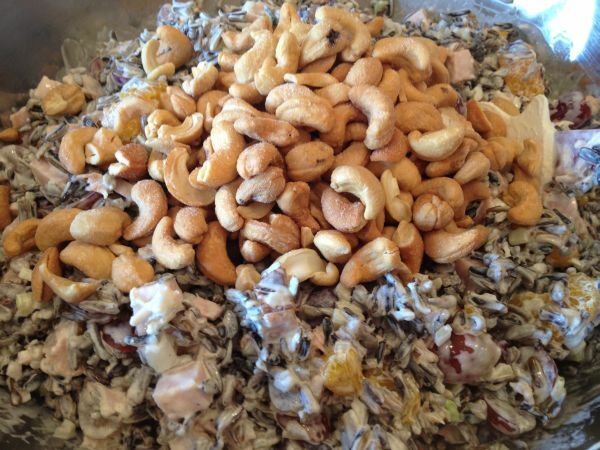 I typically place the salad in a beautiful serving dish and top it with a few additional toasted and salted Cashews. This salad is delicious any time of the year and will store for days, but if you think you’ll have left overs, don’t mix the nuts in until just before you are ready to serve. Otherwise they become soft and mushy. 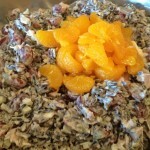 This is also an excellent way to use up left over turkey if you still have some in the fridge! 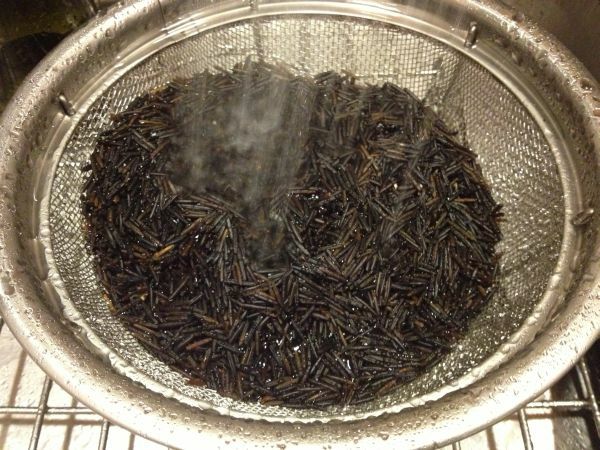 Cooked wild rice has a rich nutty flavor, sometimes described as a smoky flavor, and a texture that is delightfully chewy. Contrary to what many people believe, wild rice is not rice at all but a grass. Much of it sold in the world today is not even wild but rather cultivated varieties that do not occur naturally. 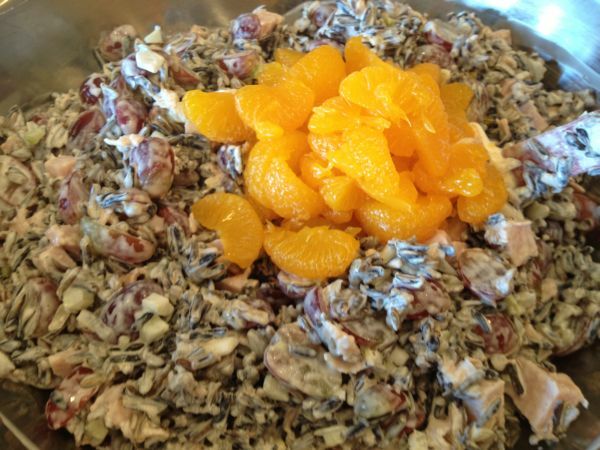 Wild rice is really an annual aquatic seed Zizania aquatic found mostly in the upper freshwater lakes of Canada, Michigan, Wisconsin, and Minnesota in North America. 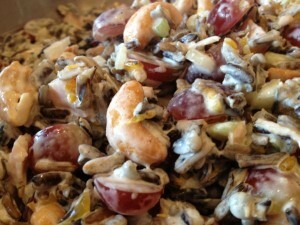 It became known as wild rice because the explorers noticed Indians gathering it in the waters of the Great Lakes region. 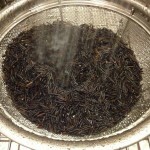 As they observed it rising 3 or 4 feet above the water, it reminded them of rice paddies. With the brightness of the fresh fruit, a hint of onion and the richness of the mayonnaise, this is a hit every time I prepare it and it’s actually quite easy to put together! Bring two quarts of water to a boil. 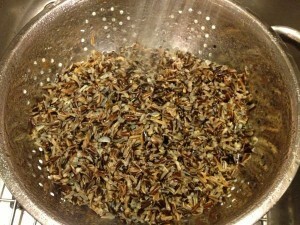 Add rinsed wild rise and reduce heat. 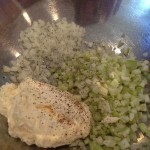 cover and simmer about 45 minutes or until your desired texture. Rinse and cool rise completely. 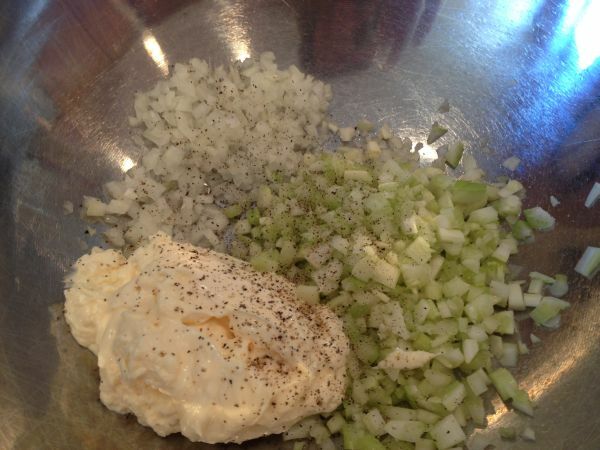 Chop celery and onion (small, minced for better distribution of the flavor, red onion can be used as well) and mix with mayo, buttermilk, sugar and salt and pepper. Mix in the rice. 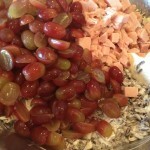 Add turkey and grapes and mix through. Gently add oranges trying not to crush completely. Refrigerate for at least an hour or overnight is good! Stir in cashews just before serving and garnish with additional nuts.